If you’re tired of drafts creeping into your home due to poor insulation, it’s time to learn how to insulate a rim joist. In many older homes, the rim joists are left uninsulated. That means the only thing blocking the outdoor air from getting inside is the foundation block. This leads to drafts along the floor boards which can make the home uncomfortable. With more than 15 years of experience insulating thousands of rim joists across the Mitten, RetroFoam of Michigan knows a lot about the types of insulation materials used in the rim joist. The materials most commonly used are spray foam, fiberglass, and foam board. 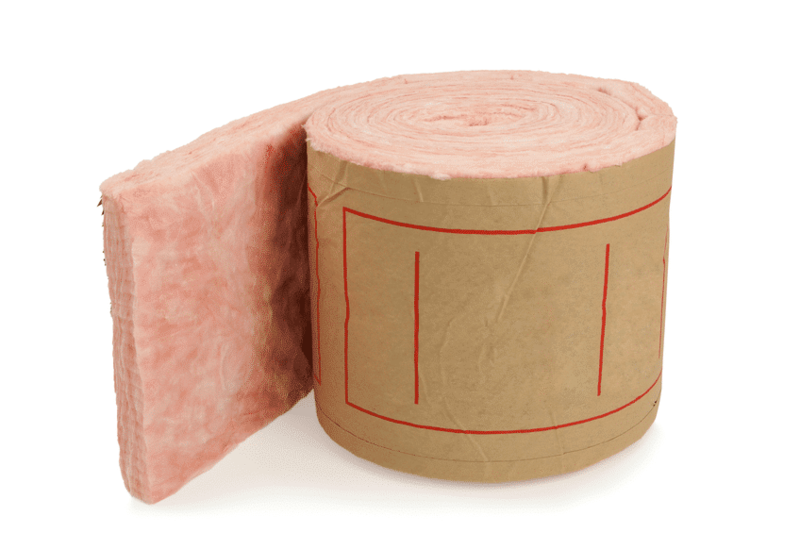 In our continued efforts to educate homeowners, we have compiled information on the commonly used insulations including process, pros and cons, and cost. 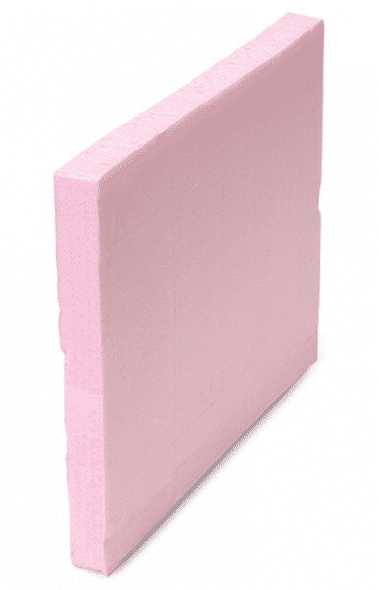 Foam boards are rigid panels of insulation made up of polystyrene, polyisocyanurate, and polyurethane. The foam boards can be used to insulate any area of the house from the attic all the way to the basement walls. Some foam boards are water resistant, which works well for areas like a rim joist that can see more moisture than other areas of the home. The material is also light weight and easy to use. While some of the foam boards are water resistant, the bubbles inside the expanded polystyrene board stop heat transfer, but not moisture which could lead to mold and mildew growth. The polyiso boards can also suffer from decreased insulating abilities over time. Foam boards must be custom cut to fit into the rim joist area. If not done correctly, this could end up costing the homeowner more money in wasted materials. Cutting the material is a very manual process and will take some time to do correctly. The joints between the sheets and boards must be taped to prevent air flow into the rim joist. Before the foam boards can be installed, any old insulation must first be removed. The cost to insulate a rim joist using foam boards will vary depending on how much of the material is needed to fully insulate the area, as well as the thickness and brand used. Other costs include knives for cutting, tape, and other materials to ensure an air seal. All supplies should be able to be purchased at a local home improvement store. The installation cost can vary depending on if it is installed by a contractor or an experienced homeowner. Fiberglass insulation is a traditional material found in the walls, attics, crawl spaces, and rim joists of many older homes. The material consists of plastic that is reinforced with extremely fine glass fibers. Any homeowner who is handy around the house can install fiberglass as a DIY project. It is also fairly inexpensive when compared to other rim joist insulation materials. Proper protective gear must be worn when handling fiberglass insulation. Fiberglass doesn’t do as good a job at insulating the rim joist compared to other insulation materials, according to Home Construction Improvement. The material is air permeable, which means it does nothing to prevent warm, humid interior air from making contact with the rim joist. This will lead to mold, mildew, and rot issues. Any old insulation in the rim joist must be removed first. The fiberglass must be cut to perfectly fit the space. Fiberglass is air permeable, so air from outside will still get into the rim joist. During the installation, protective gear including gloves, long-sleeved shirts, pants, goggles, and masks must be worn. The fiberglass particles that come into contact with skin can cause rashes. If the material is inhaled it can cause coughing, nosebleeds, and respiratory issues. The size of the area to be insulated with fiberglass will determine the cost. The amount of material needed to fully cover the area is also a factor. It is important to note if a homeowner decides to hire a contractor, this will add additional cost. Spray foam insulation is a water-blown and organic chemical compound derived from petroleum extracts. Open cell spray foam fills every nook and cranny as it expands up to 100 times as it is being installed. It creates an air barrier that will seal the rim joist and stop any air from getting into the home. Spray foam insulation creates an air seal that will work to prevent outside air from getting inside the home, which will stop the drafts near the floor boards. The material doesn’t retain water, so there isn’t the opportunity of mold and mildew growth inside it. It is not recommended that spray foam insulation be installed as a DIY project to ensure a proper air seal is created, but spray foam kits can be purchased at local home improvement stores for experienced homeowners. RELATED: How Long Does Spray Foam Insulation Last? First any old insulation in the rim joist must be removed so the spray foam can get into the rim joist to create an air seal. 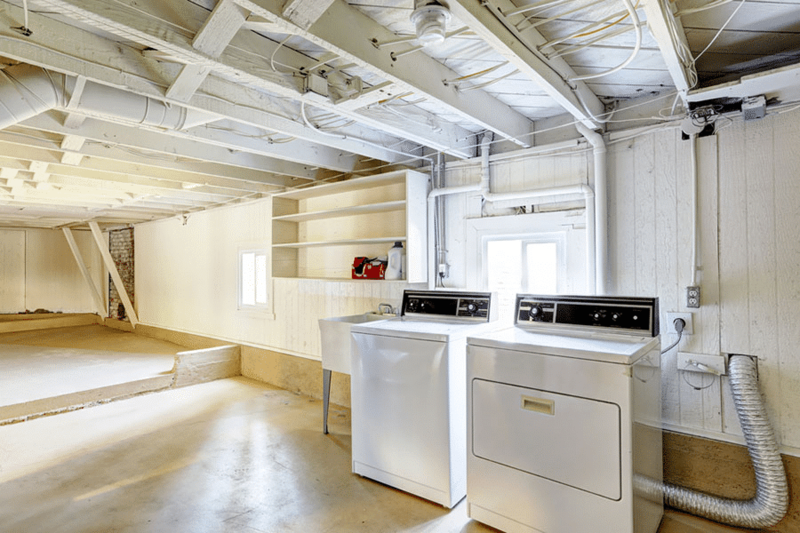 Before the installation, the homeowner should ensure any storage or other items are removed away from the rim joists and that important items are covered. Crews will then run a hose to the area and spray the foam insulation onto the rim joist. The size of the area to be insulated is the number one factor in determining the cost to insulate the rim joist. Another factor that determines cost is the material that is used to insulate the rim joist. Open cell spray foam is usually recommended, but there are circumstances where closed cell spray foam is a better option. There are several differences between open cell and closed cell spray foams, including composition, blowing agent, sound dampening capabilities, and moisture permeability. Now that you have read up on the different options for rim joist insulation, it’s time to decide what material best fits your needs. If you’d like to learn even more about the benefits of spray foam insulation, head on over to our learning center. If you are considering spray foam insulation for your rim joist and live in Michigan’s lower peninsula, give us a call at 866-900-3626 for a free estimate, or fill out the form on our website.